With leading designers, unmatched square footage, and luxe amenities – these seven suites from New York to Tokyo top our list for the best of the best, including a sneak peak of suites on wheels (mark your calendars for 2018). 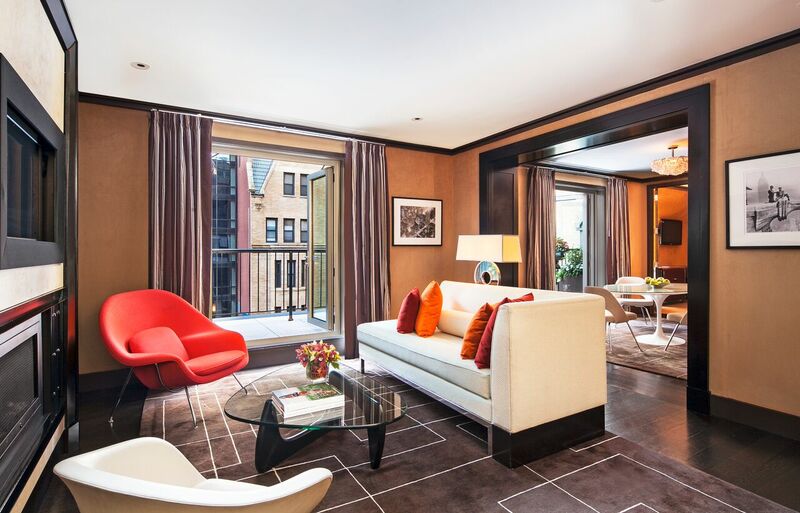 The vision of acclaimed interior designer Michael S. Smith (known for decorating the Obama White House), the Penthouse Suite at The Lowell offers a rare oasis just steps from Central Park and Madison Avenue. 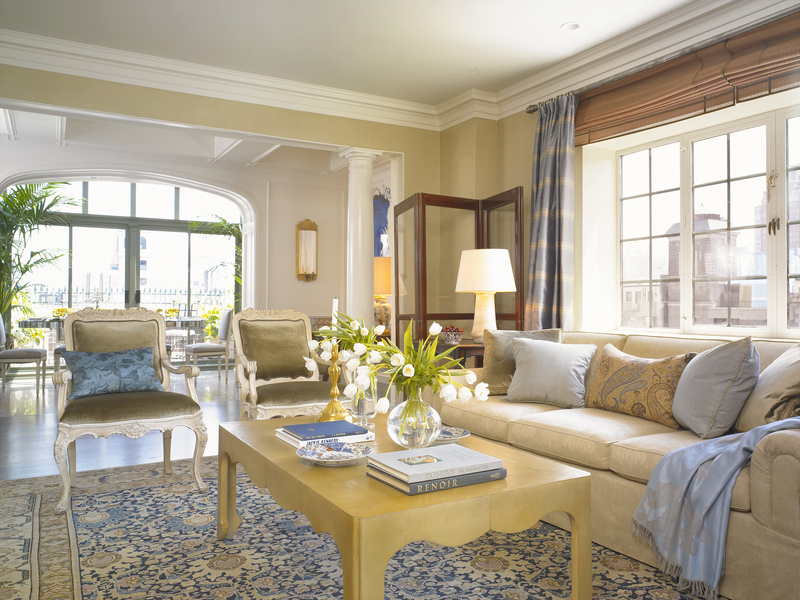 This three-bedroom, 3,000 square foot pied-à-terre is a refined blend of European classicism and American modernism. Four private outdoor terraces overlooking upper Manhattan allow for summer al fresco dining, while real wood-burning fireplaces make for the coziest spot for wine and cheese in the winter. A full kitchen connects to a bright dining room with floor-to-ceiling glass windows and a 1940s-style mirrored dining table by Jean de Merry that reflects the room’s natural light. Rates: starting from $14,935 per night. The nearly 100-year-old Majestic Hotel & Spa has recently unveiled the largest hotel suite in the city. At over 5,000 square feet, the Majestic Royal Penthouse is equipped with a custom “Maxibar” – a supersized minibar stocked with drinks and snacks to meet each guest’s individual preferences. Mallorcan designer Antonio Obrador oversaw the development of the Royal Penthouse and filled the space with local Catalonian fixtures along with furniture from Italy, Germany, and the Netherlands. The suite comprises two terraces, three bedrooms, a dining room, and a spacious lounge with seating for up to 14 guests, and oak flooring runs throughout the space, contrasted by warm red and gold Iksel wallpaper. Rates: starting at $15,000 per night. 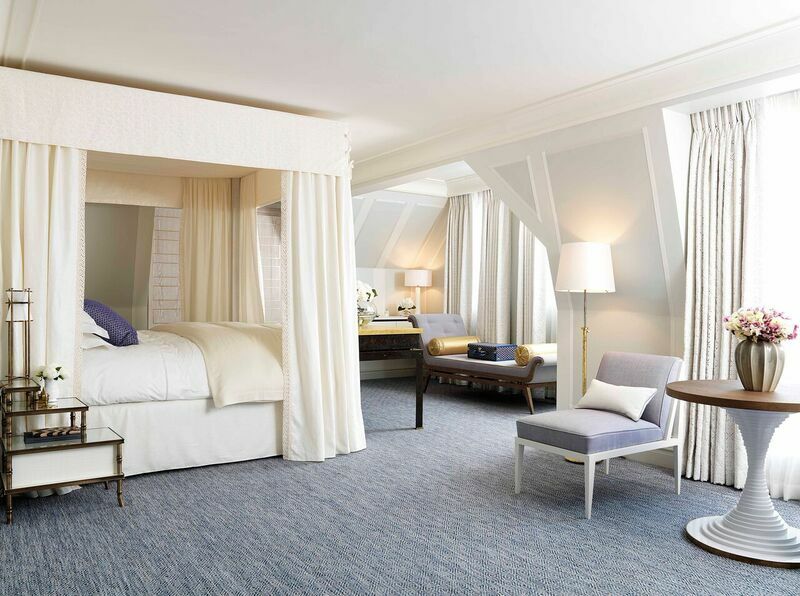 Designed by the late, lauded interior designer David Collins in a palate of periwinkle and white, the penthouse suite at the historic London hotel floods with natural light thanks to double-height ceilings. The living area features a wood-burning marble fireplace and a vast library opening out onto a wrap-around balcony with panoramic views of Mayfair. Should guests be inspired by the neighborhood’s art galleries, they can paint their own masterpiece using an easel and materials from Green & Stone art store found in the suite. Rates: starting at £14,000 per night (approximately $18,108 USD). 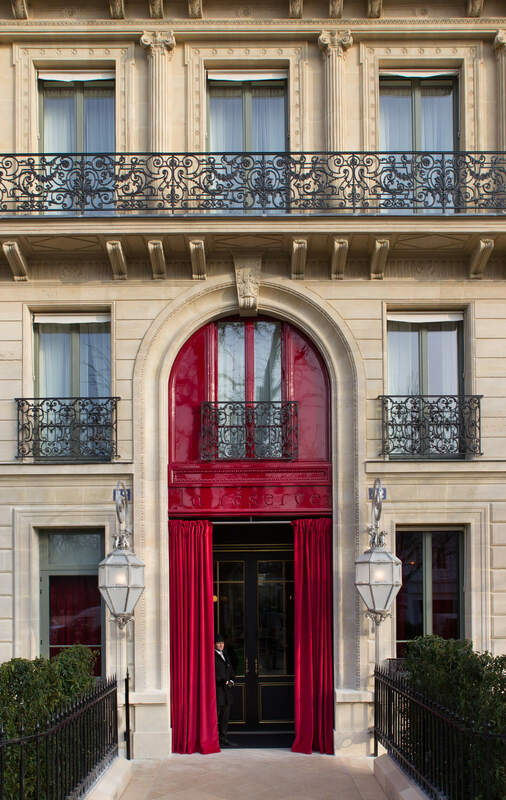 Located in the eighth arrondissement, La Réserve Paris is a block from the Champs Elysees and offers some of the best views of the city. 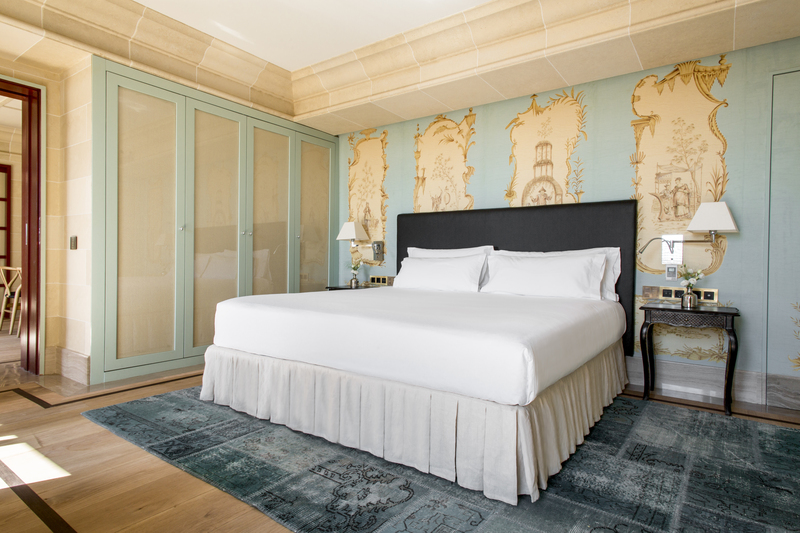 From the fifth-floor Imperial Suite, guests can see the Eiffel Tower, the spires of Notre Dame, and the glass roof of the neighboring Grand Palais from nearly every angle, including the multiple balconies and the freestanding bathtub in the Carrara marble bathroom. The suite will soon emerge from a renovation under interior designer Jacques Garcia who is putting his signature stamp on the interiors – think red silk taffeta-covered ceilings and black lacquer and gold-leaf paneled walls done by hand. Rates: starting at €4,800 per night (approximately $5,461 USD). Master designer Thierry Despont demonstrates that the joy is in the details in this penthouse suite with a spiral staircase to a large roof deck with attractive views over West 44th Street and Manhattan’s skyline. Bespoke lighting and fittings set the stage for chic cinnamon and spice-hued leather furnishings. The king bed with a handmade Shifman mattress is dressed in Frette linens and a down comforter edged in coffee-colored accents. The sleek, modern bathroom has sparkling granite countertops and heated floor, double sinks, an integrated 19-inch mirrored television, and jacuzzi. Luxuriously appointed and designed with entertaining in mind, the living room with a fireplace and an adjacent dining area with outdoor balcony access and a pantry provide dramatic interiors enhanced by a rooftop deck and terrace. P.S. you can watch the ball drop from the terrace on New Year’s Eve. Rates: starting from $6,000 per night. 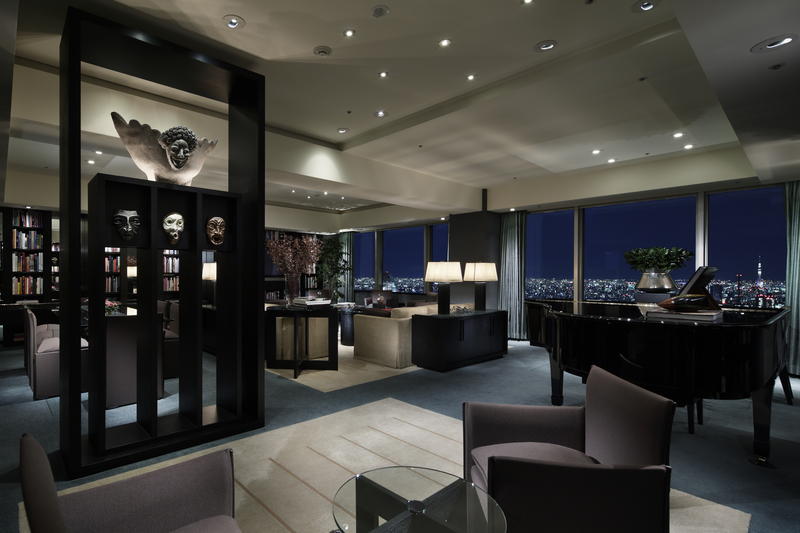 50 floors above Tokyo’s restless streets, this residence-like suite has floor-to-ceiling views of the city’s skyline from almost every room, with Japan’s highest mountain, Mt. Fuji, peaking up in the distance. Decorated with the aura of a private apartment, this 2,368-square-foot accommodation is adorned with a Miao headdress and washi lanterns by Isamu Noguchi, designer and creator of The Noguchi Museum in New York. From the baby grand piano in the living room to the library collection of 1,000 books on the arts, this suite is a quiet and comfortable escape from bustle below. 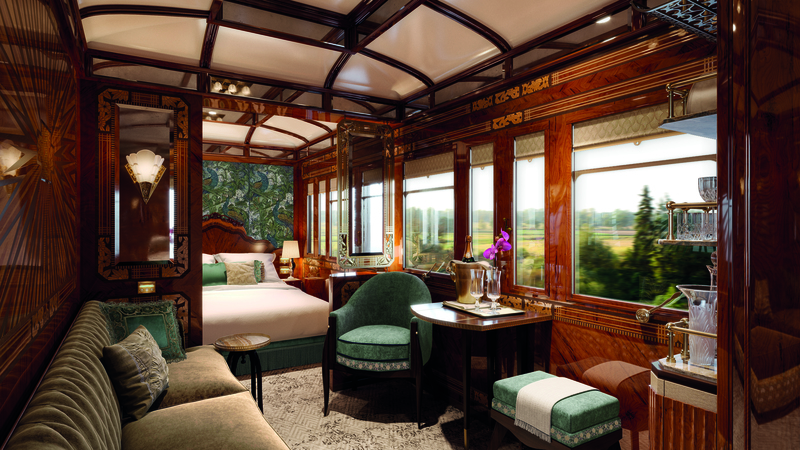 In March 2018, the historic Venice Simplon-Orient-Express train will unveil three new Grand Suites. Each featuring private bathrooms with showers, double beds, and spacious living areas, the Art Deco accommodations will bring the already elegant train experience to new, luxurious heights. The Grand Suite experience will begin even before boarding, with private transfers to the train station where guests will then be greeted by their personal cabin steward. During journeys between London, Paris, and Venice – with an annual trip from Paris to Istanbul – Grand Suite guests will also enjoy free-flowing Champagne, private in-suite dining, and a complimentary art-deco bathrobe as a souvenir. A one-night journey from London to Venice, in a Grand Suite is priced at $6,160 (£5,500) per person.